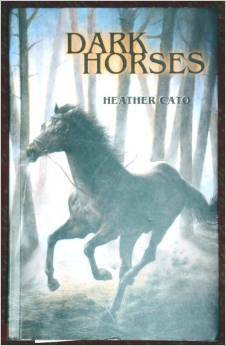 This book looks really old but so far the book is pretty good an its by Heather Cato. After Kate's father dies,she and her mother arrive in New Zealand to sell their half of the family farm. For Kate its an unfamiliar world of horses: riding schools, show jumpers, hunters and grooms. Then there's Misty, a girl who lives in squalor and makes accusations about Kate's uncle and his dubious horse dealings. Kate must separate the good from bad, the innocent from the guilty. Her journey in search of truth is packed with adventure and suspense, false trails, heartache and happiness. I will tell you if it is good or not. Sounds interesting - but wow!